Natalie Nell Coleman and Chase Templeton Miller were united in marriage at St. Joseph Chapel on June 17, 2017. Natalie Nell Coleman and Chase Templeton Miller were united in marriage at St. Joseph Chapel on June 17, 2017. The Rev. William Bry Shields officiated. The bride is the daughter of Dr. and Mrs. Thomas Wheatley Coleman and granddaughter of Mr. and Mrs. Gerard Allen Geppert, Mr. and Mrs. Horace Turner Jackson and the late Dr. Don Monte Coleman. The groom is the son of Mr. and Mrs. Richard Morgan Miller Jr. of Nashville, and the grandson of Mr. and Mrs. John Lillard Templeton and the late Mr. and Mrs. Richard Morgan Miller Sr. Escorted by her father, the bride wore a strapless fil coupé trumpet gown with re-embroidered lace appliqué by Monique Lhuillier. She wore a cathedral-length veil with two beautiful gladioli petals in her hair created by florist Ron Barrett. The bride was attended by Helen Franklin as maid of honor and Hallie Majure Dyess as matron of honor. Bridesmaids were Therese Bridges, Kathryn Crowley, Caroline Davenport, Blair Etherton, Margaux Golden, Frances Jackson, Challey Legg, Bailey Magee, Emily Smith, Dana Day Skelton, Janie Turner and Lola Zieman. The groom was attended by his father, Richard Morgan Miller Jr., as best man. 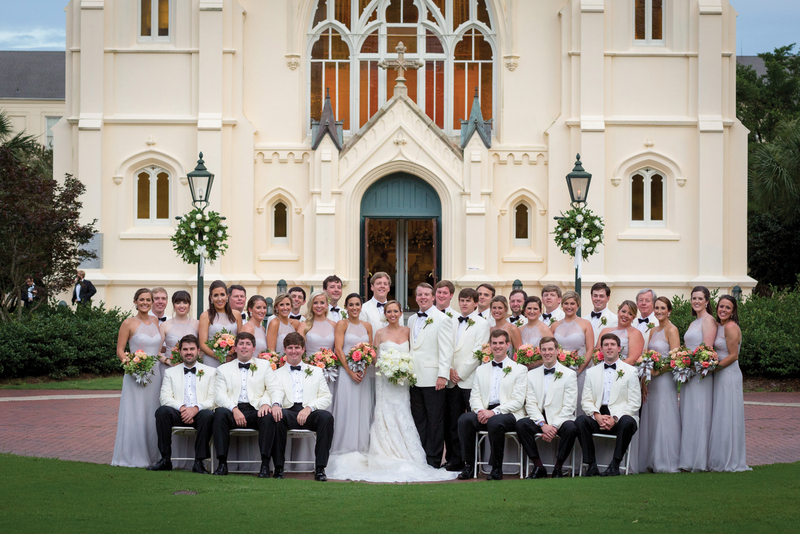 Groomsmen were Alastair Miller, Evers Miller, Clayton Coleman, James Anderson, Austin Branstetter, John Burch, James Meadows Hayes McWilliams, John Ramsey, Robert Rolfe, Sloan Sanders, Martin Shepherd and Jake Van Ausdall. 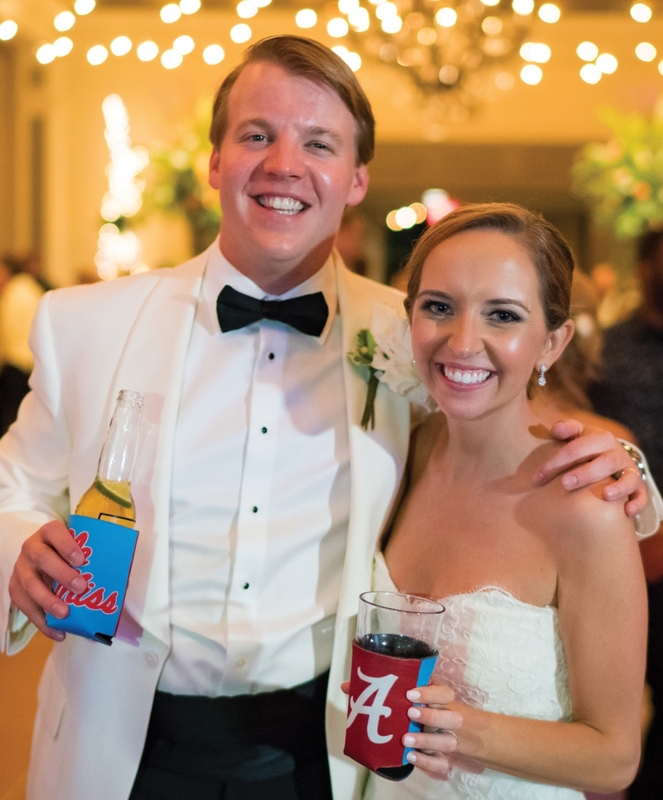 Following the ceremony, a reception was held at the Country Club of Mobile. 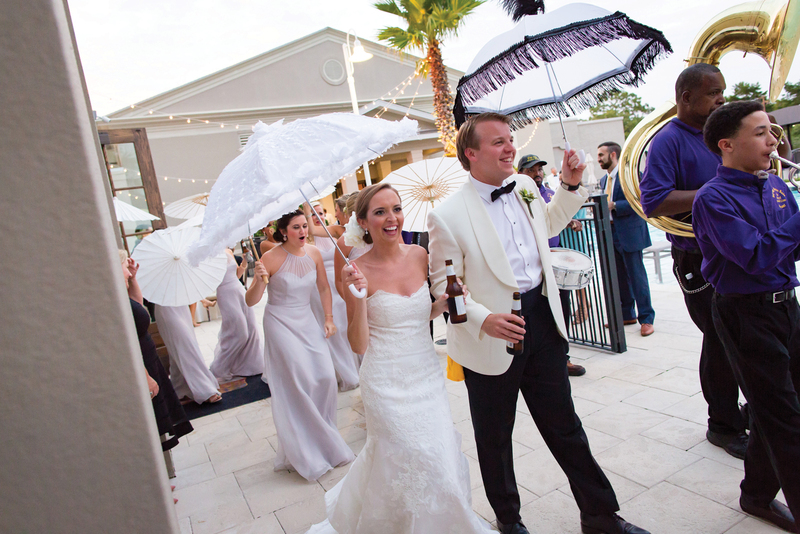 Led by the Bay City Brass Band, the wedding party made their entrance in a Second Line parade. 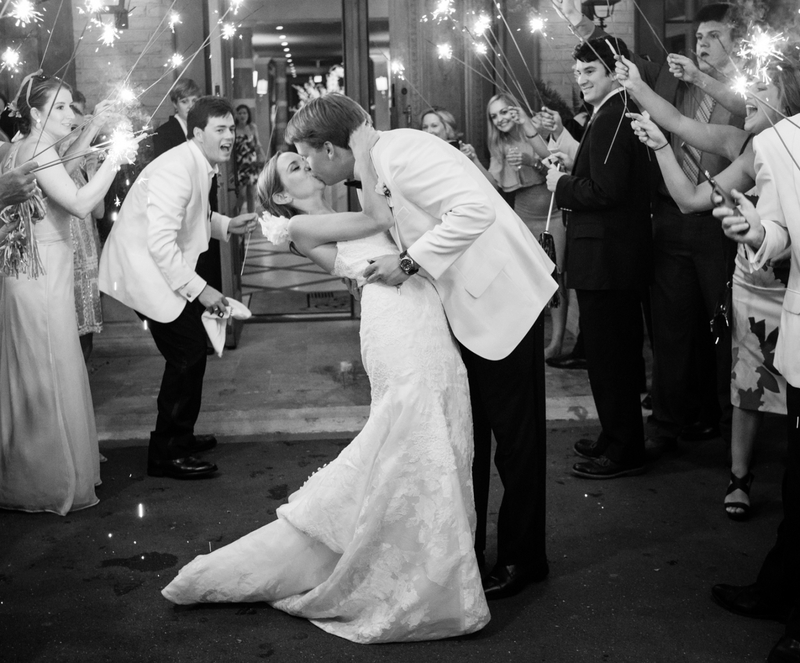 Guests danced the night away under a canopy of market lights. The couple now resides in Nashville.